This post is going to be a first for me. I collaborated with a good friend of mine who is an IT specialist who has worked in school districts as a Apple/Network guru for over 10 years. I decided to pick his brain and compile some of the most useful terminal commands for an Apple user. 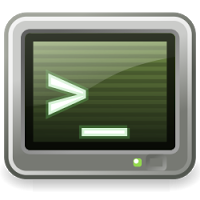 These tips are nice to have for the novice user just get their feet wet in using the terminal. While I've done some of this in the past I've always had help with an experienced user and would never mess around in the terminal unassisted. The terminal allows users to modify and preform tasks to their system that they cannot normally do. man - Man is how you get help on using any . Not sure what command you need? You can try man -k and hope that you picked an appropriate keyword; if not, try another keyword until you find what you're looking for. Or give up and ask somebody smarter.